We are pleased to announce that portions of the Jacqueline Bouvier Kennedy Onassis Personal Papers were opened on February 13th, 2012 (for more information on the opening, please see our press release). These newly available papers, which focus on Mrs. Kennedy’s years in the White House, cover a broad array of topics: redecoration of the White House, travel, State visits, arts and culture, and press coverage, as well as Mrs. Kennedy’s involvement in a variety of cultural projects, organizations, and associations. The papers are part of a larger collection that spans the years 1926 to 2002 and consists principally of staff files, correspondence, clippings, photographs, scrapbooks, and albums, as well as other materials accumulated by Mrs. Kennedy during the course of her lifetime. 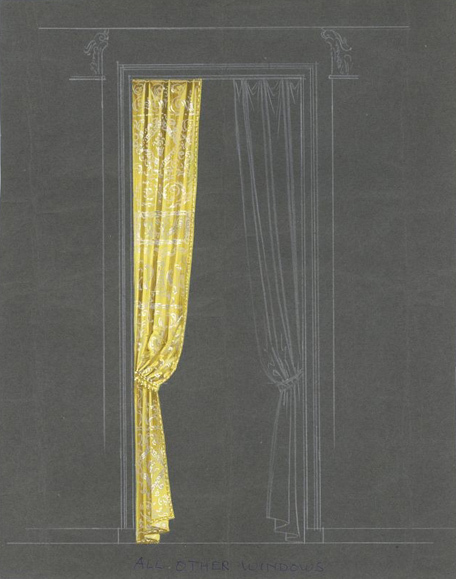 The opened papers provide new insight into Jacqueline Kennedy’s meticulous, hands-on efforts that led to the restoration of the White House state rooms. The collection as a whole showcases her extensive research, work, guidance, and influence on the redecoration, as well as her knowledge of the historic pieces within the White House. From the outset, Mrs. Kennedy saw the project as a scholarly restoration and not just simply as a decorating project. Always concerned about the legacy of the restoration, she held a firm belief that, after the John F. Kennedy Administration, the White House would remain a historic landmark and showcase only the best of American arts, furniture, and culture. With this aim, Mrs. Kennedy established the White House Historical Association and Fine Arts Committee, as well as hired the first official White House curator. Found within the papers are Mrs. Kennedy’s detailed, handwritten notes and memos on subjects ranging from fine arts, china, furniture, the particulars of national historic preservation standards and resources, museum and curatorial guidelines, correspondence and legislation designating the White House as a national monument, as well as fabric samples, wall covering mock-ups, and original sketches by Mrs. Kennedy and her designers. 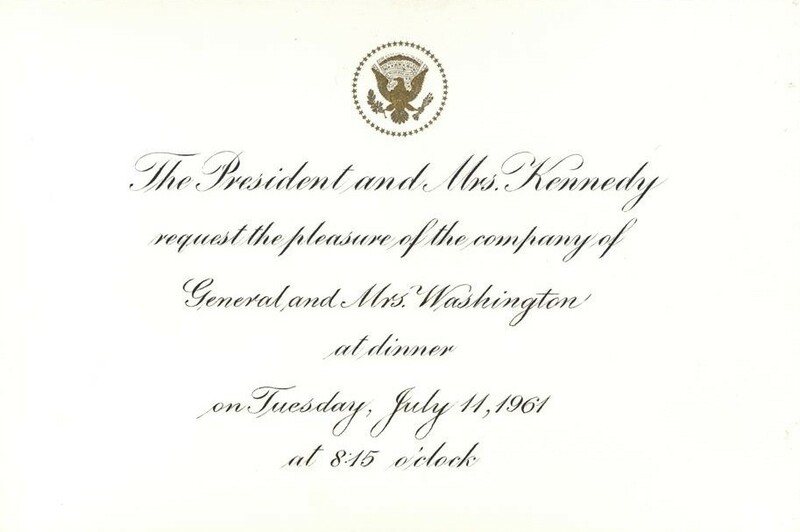 One interesting find among many materials documenting Mrs. Kennedy’s role in entertaining at the White House is a document that coincides (uncannily) with larger historical events. Within her personal papers is a seemingly innocuous guest list for a White House dinner that was scheduled to take place on October 23, 1962. 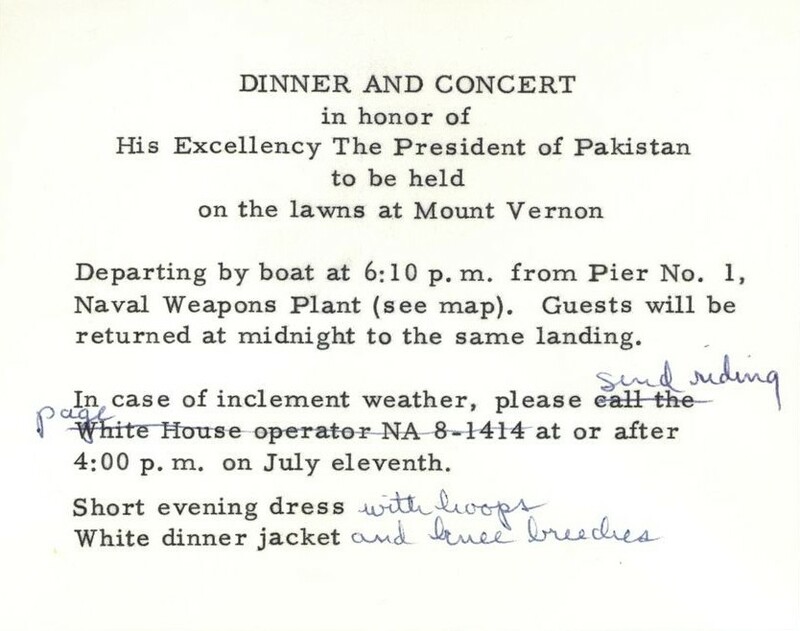 The dinner, however, never occurred and at the top of the page is Mrs. Kennedy‘s handwritten note giving the reason why: “Cancelled – Cuba.” History now shows that this dinner was canceled because it was scheduled to take place at the height of the Cuban Missile Crisis. This example shows that Mrs. Kennedy understood that the documents she created during her time in the White House would be kept as part of the historical record of the Kennedy Administration and she therefore tried to document both history and the legacy of the Administration in her daily routine. “In case of inclement weather, please call the White House operator NA 8-1414 send riding page at or after 4:00 p. m. on July eleventh. One can’t discuss the impact of Jacqueline Kennedy on the nation without mentioning her fashion and style. During her years in the White House, Mrs. Kennedy did not enjoy discussing these two issues or being seen as merely a fashion icon. She stopped releasing advance information to the press regarding her wardrobe because she believed it garnered unnecessary attention to such a trivial detail and was a distraction to her ever-increasing work at the White House. That being said, the collection demonstrates that while Mrs. Kennedy didn’t view her appearance as a national concern that warranted press, she still took meticulous care in planning her wardrobe and cultivating her public image. While processing the collection, archivists came across fabric samples inter-filed with Mrs. Kennedy’s official schedules. 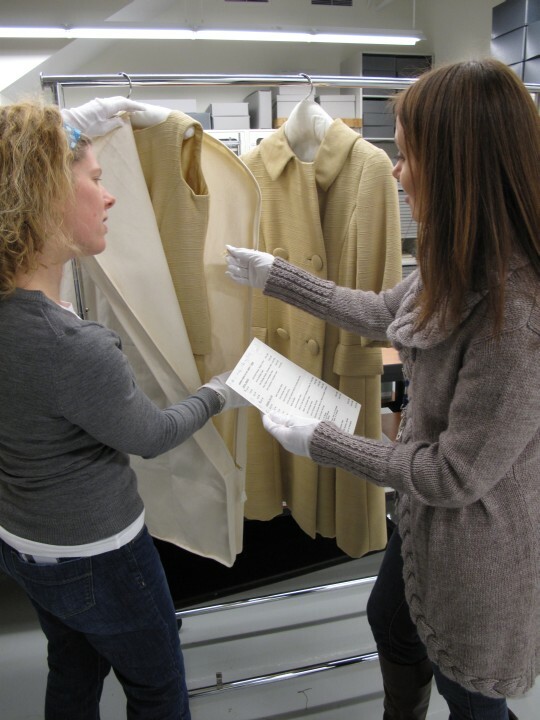 These samples, most likely sent to Mrs. Kennedy by her designers, were used by her and her staff to reference articles of clothing, especially when clothes were designed for a specific trip or event. 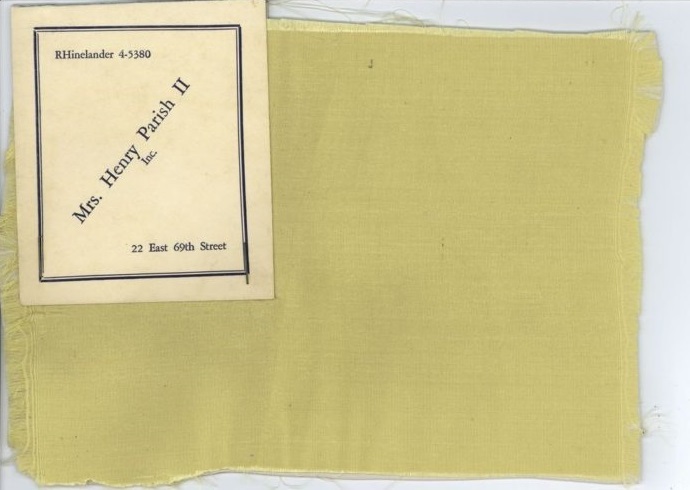 After investigating further and working with Museum staff, the archivists were able to reunite these fabric samples with Mrs. Kennedy’s clothing, and to identify dates and events at which she wore them, as documented by her personal schedules. In one particular instance, the archivists had used a schedule of Mrs. Kennedy’s State Visit to Canada, May 16-18, 1961, which contained heavily annotated notes on the back relating to her wardrobe choices for each portion of the visit. 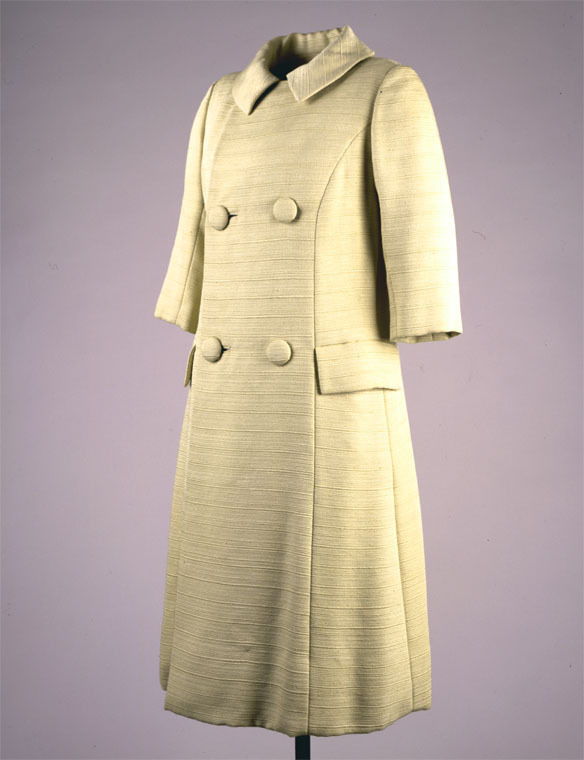 For example, annotated on the official schedule for May 17, 1961 under “Lunch with Prime Minister of Canada,” Mrs. Kennedy wrote, “Beige silk 2 piece dress I wore to press ladies Lunch with matching coat.” This note was matched to a beige fabric sample from the same folder and after searching through museum databases and the physical inventory, staff were able to identify the dress that both matched the fabric sample and was referenced in the documents. Mrs. Kennedy can be seen wearing this outfit in a motion picture of the Trip to Canada produced by the United States Information Agency (USIA). Archivist Jennifer Beaton and Museum Specialist Heather Joines comparing fabric samples and schedules to Mrs. Kennedy’s dresses. 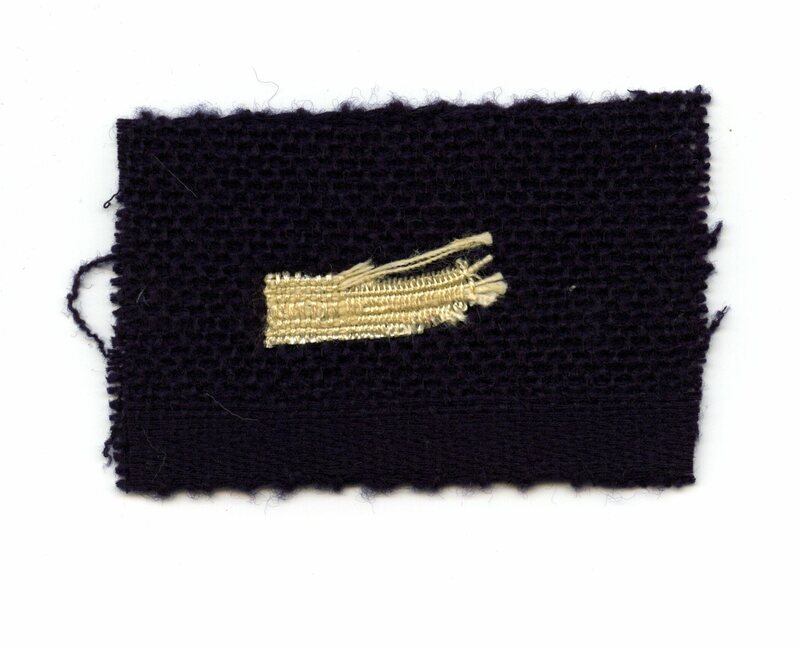 This is an excellent example of how the many collections held by the Museum and Archives are interrelated and can be used by researchers to gain a more complete understanding and contextualization of a historical event and time period; it also showcases the breath of materials held by the John F. Kennedy Presidential Library and Museum.